We all make mistakes, even our furry friends. Pet urine and odor can cause immense damage to the flooring in your home if not treated correctly. It is always important to quickly clean up after a pet’s accident but further cleaning is often required. Why? As the urine seeps into the core of your carpet it dries, creating urine crystals, and then continues to smell. If you are a pet owner, you know, pets often don’t just make a mess in the same place once. If you’re looking for dog stain removal in Omaha, NE then contact M.S. Chem-Dry and continue reading to see what makes us different from the pet urine removal products you might find at the store. Urine deposited on carpet does not stay there – it makes itself at home. It penetrates underneath the carpet ﬁbers and contaminates both the backing of the carpet and the ﬂooring material that lies beneath your carpet. Often, without your knowledge, pets will urinate consistently in the same general area. Urine odors can permeate from the ﬂoor, whether it’s cement or wood, from the tack strip, and even from the framework of the house behind the walls. What Happens When You Forget to Clean Up A Pet Mess? As the urine dries, the liquid will evaporate but the urine crystals become even more concentrated and pungent. A simple cleaning will not help to remove this odor. Until recently, there was no product available that effectively removed urine odors.When P.U.R.T.® contacts the source of the odor, it immediately begins a chemical reaction that destroys the urine odor. Chem-Dry recognized a need and has worked for the past 40 years to offer customers cleaner carpets with reliable service. Our revolutionary product, P.U.R.T.® (Pet Urine and Odor Removal Treatment), can save even your most severely urine damaged carpets and area rugs. P.U.R.T. is a revolutionary product specially designed to eliminate all urine odors. This product has shown excellent results on even the most severe urine damaged areas and other odor causing spots. It works to stop the smell at its source instead of simply masking the odor. Read how our pet stain removal in Omaha works! “Terry and Berto, THANKS SOOOO Much for the wonderful job cleaning my carpet and soiled chair. My over 50-year-old carpet looks brand new!!! I even have a dog and had some pee issues and that all came clean. Besides the gentlemen are so nice to work with!! !” – Lucy H.
Learn about the importance of cleaning pet urine accidents and the Chem-Dry P.U.R.T. process! This video shares important facts from a veterinarian about the importance of cleaning pet urine accidents in your carpet, and how our pet urine odor removal treatment actually works. 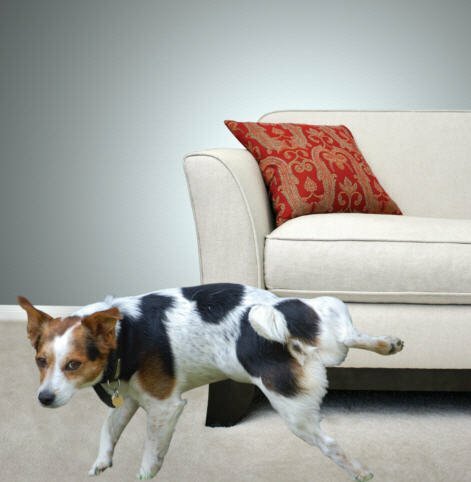 Pet urine stains and odors in carpets can cause many issues in the home. If you have pets, chances are you’ve experienced those issues. Chem-Dry provides a pet urine accident solution that has been tested and proven to remove 99.9% of pet urine odors from carpets and 99.2% of bacteria from pet urine in carpets when combined with a sanitizer.